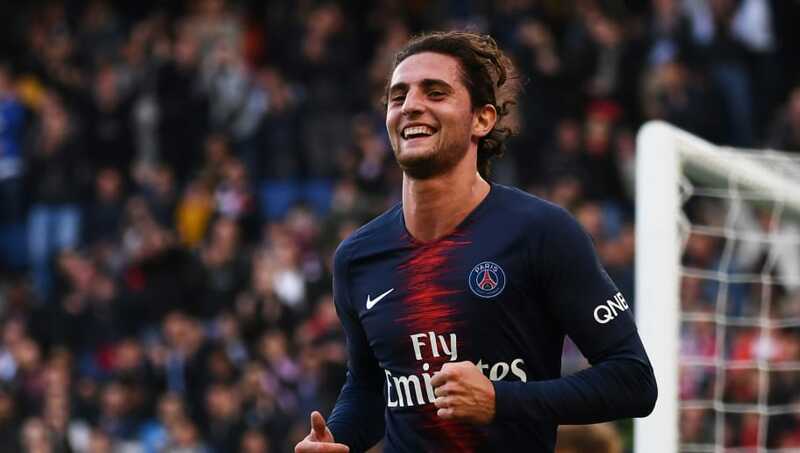 ​Liverpool are believed to preparing to rival Tottenham Hotspur in the race to sign Paris Saint-Germain's want-away midfielder Adrien Rabiot. The 23-year-old was widely expected to leave the Ligue 1 giants in the January transfer window, as the club were eager to cash in on the player in advance of his contract expiring in the summer. However, despite a host of sides expressing an interest, no club managed to strike a deal before last month's deadline, meaning he can move as a free agent in the summer. According to the Metro, ​Spurs saw a move for Rabiot fail in the January transfer window, but are still highly interested in securing his services for next season. However, ​Liverpool are believed to also be keen on the Frenchman, and the player's apparent desire to play under Jürgen Klopp could give them a real advantage over the north London club. It is, however, worth noting that ​Rabiot reportedly dismissed Spurs' interest out of hand, with the suggestion being that the club were 'beneath him'. Given his apparent disregard for the club, it does seem unlikely that the Lilywhites will pursue the move any further, and are more likely to focus on other targets to bolster their squad in the summer. Barcelona were at one point the frontrunners to sign Rabiot, but the Catalan giants' ​€86m acquisition of Frenkie de Jong, saw them cool their interest in the player. Liverpool, Arsenal and ​Chelsea have all been linked with the former Toulouse loanee, who could prove to be a bargain signing should he opt for a new start in the ​Premier League. Meanwhile, ​Liverpool boss Jürgen Klopp described his side's performance as 'outstanding', following their ​3-0 Premier League win over Bournemouth on Saturday. Goals from Sadio Mané, Georginio Wijnaldum and Mohamed Salah secured the three points for the Reds, who moved three points clear at the top of the division.